“What is PR” to new PR students? With two groups of students with varying definitions of PR, I took my first day of class to ask them the question: What is public relations? The first answer was the typical comment: “relating to the public”. While this is true, relating to the various stakeholders is only one piece of the much larger picture of our industry. In groups of 3, I asked the students to do a “brain dump” of what they think about when we are talking about PR. Following a 5 minute brainstorming session, I asked each team to send a representative to the board to scribe each teams words. 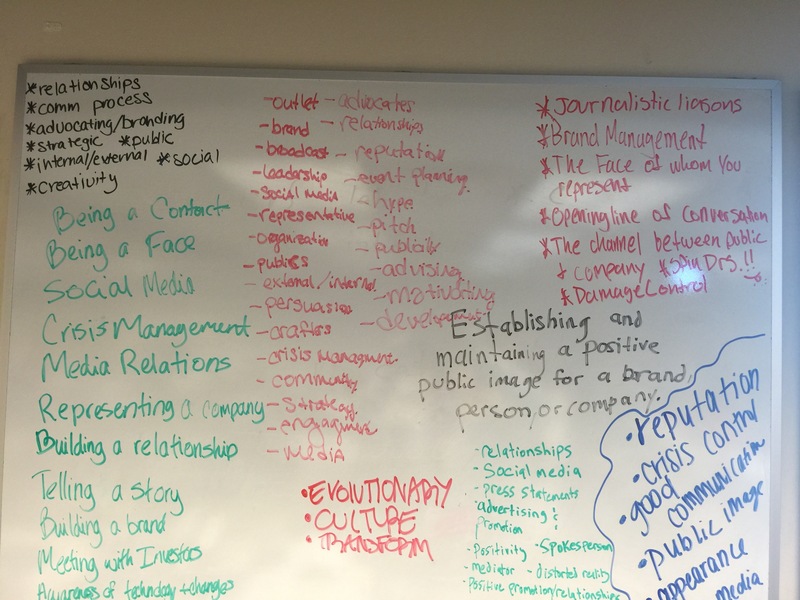 The following is a list of how new PR students define PR.